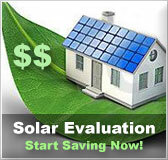 Hawaii residential solar energy incentives | Solar Panels | Solar Power | Site Map | Bookmark This Site! The county of Honolulu teamed up with Hawaiian Electric Company to offer low interest loans ranging from 0%-2% for residents who install solar water heating systems. Loans amounts vary and have a 7 year loan payback period. The county of Maui in partnership with Maui Electric Company have provided this program which offers zero interest loans and a $1000 rebate to residents who install solar water heating systems. Loan amounts and repayment periods vary. Kauai Island Utility Cooperative has a program provided through a partnership between Kauai Community Federal Credit Union and Kauai County Housing Agency that gives qualifying member zero interest loans for solar water heating systems. Kauai Community Federal Credit Union and Kauai County Housing Agency provide the funding for the loans and KIUC pays the interest directly to the lender for the customer making it possible to get interest-free loans. Repayment for participants is 60 monthly payments. 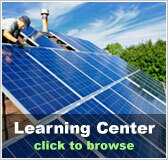 Residents in Kauai are eligible to receive a rebate of $800 for each solar water heating system installed. 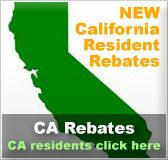 This is a one-time rebate of $1000 offered to qualifying customers who install solar water heaters. Customers must be within the territories of Hawaiian Electric Company, Maui Electric Company or Hawaii Electric Light Company. 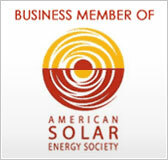 The Hawaii Energy Tax Credits allows a personal tax credit of 35% of the total equipment cost and installation for solar thermal or photovoltaic systems and 20% of the total cost and installation of wind powered systems. Qualifying systems must be new and meet all safety and performance standards.